Inspired by current events, Dark Matter speaks not only to Ferguson, but to the power dynamics that create dialogue or exchange between two opposing groups. Pinder studied photographs and images from the recent Ferguson uprising to better understand the visual dynamics of contemporary revolt. What does it look like when millennials take to the street? 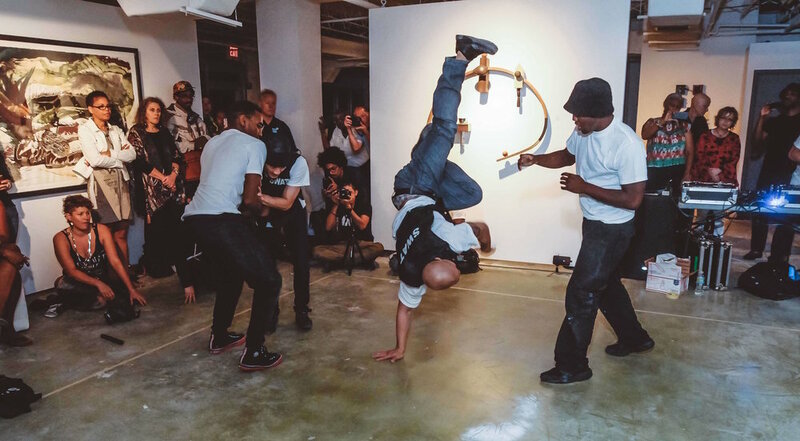 Moved by the “physicality of rebellion,” Pinder collaborated with a local group of international breakdancers, The Lionz of Zion. The genre best captured the explosive nature of spontaneous protest. From windmills to hand-glides, this display paired athletic movement with social struggle. Employing intense police lights, minimal costuming, fog, and music, the team of highly-accomplished breakdancers wove a loose narrative to a chilling effect. 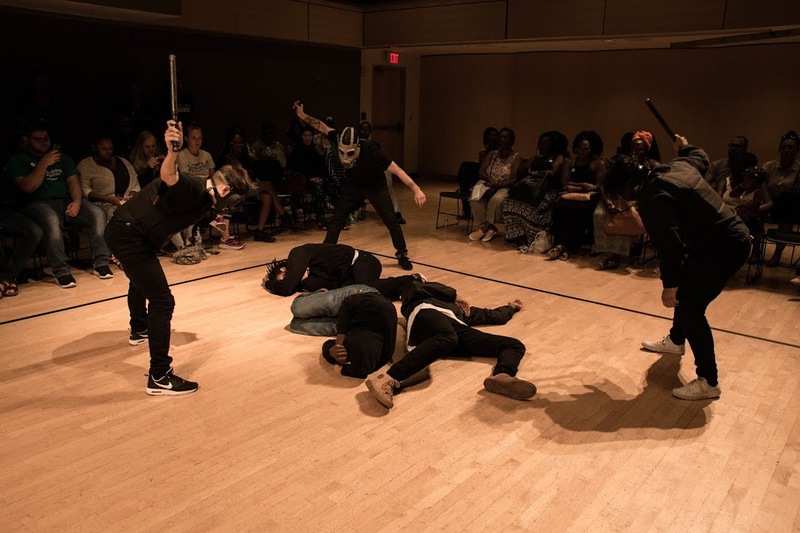 Dark Matter was the culmination of two months of rehearsal, relying on the deliberate abstraction of a literal moment and starting with an established narrative, then employing a b-boy battle in a way that became political. 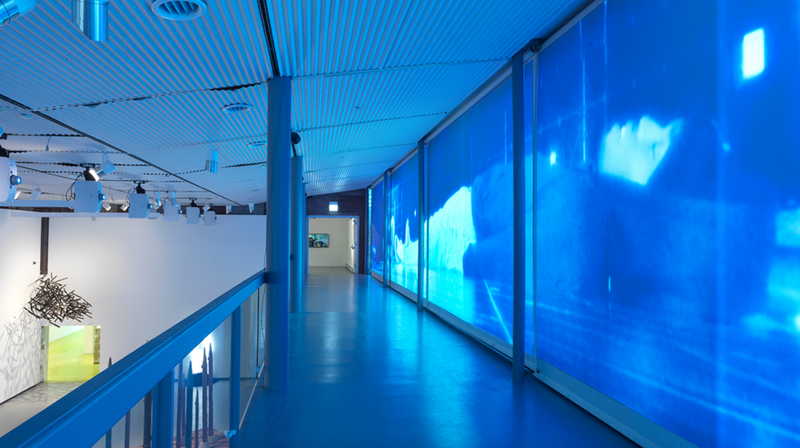 Multiple cameras documented the performance and the video piece allows for a deeper probing of the dynamic movements. The video iteration of Dark Matter varies from the performance because it allowed for more focus on speed, space, and time. Reversing the physicality keeps the viewer engaged through surreal execution. Coupled with an original soundtrack, the recorded piece offers a slightly different perspective than the live performance. The minimal costuming (black hoodies and dark jeans) provides a b-boy uniform that reads as black bodies in constant motion. In mask and hoodie, skin-color becomes secondary as urban street culture speaks to an experience of rebellion and struggle.